You can add contacts to a client group from the contact page, or client group. 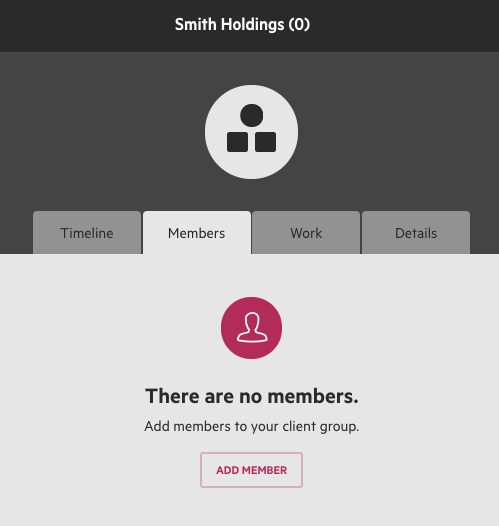 Any person or organization contact can be added as a member of a client group. From the Members tab, choose Add Member. You will then be able to search for any existing contacts, and add them as members. You can also add contacts to existing client groups from the contact's page. On the details tab, choose to Edit the basic details. You will then be able to search for the appropriate client group, and press Save.